I believe it's important to donate your time, money or resources whenever possible, not just around the Christmas season. It always seems like the need increases in the last quarter of the year, or maybe we're all more aware that there is a need. But the same people we're helping this month will need food, shelter and clothing in April and June too. Here are a few more opportunities to give this month. I wrote a blog just before Giving Tuesday with ideas there too. 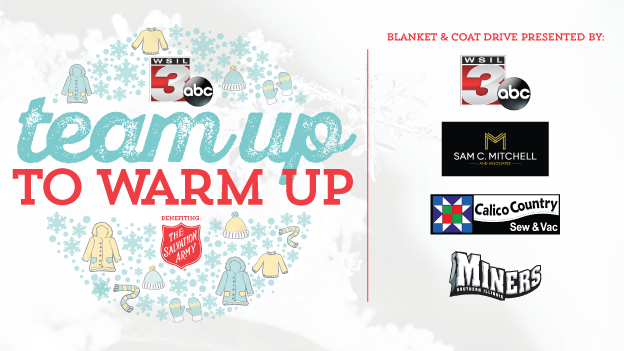 The TV station I work for, WSIL, is teaming up with the Southern Illinois Miners and a handful of other businesses to keep people in need warm this winter. December 10, 11, 16, 17 and 18 people can bring new or gently used coats and blankets to Rent One Park in Marion. Those items will go to the Salvation Army. 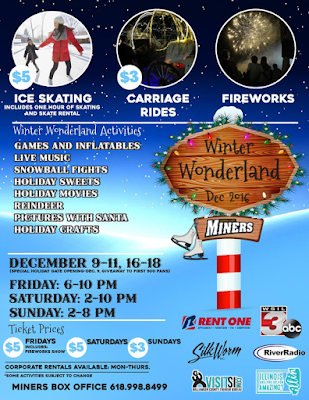 It's part of the Miners' Winter Wonderland celebration. Food pantries are in desperate need of help right now too. Canned goods are always great. But if you're a hunter and have extra meat to share this year, talk to a pantry in your community about sharing your harvested meat. And one more plug for my buddy Tom Harness. 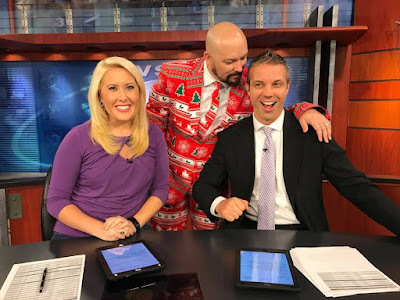 He and his Ugly Christmas suit are at it still. So far he's raised more than $2,000 for The Promise in Marion. You can read more about the group here. But it's simple to help. Make a donation and Tom will come by for a photo opp in the suit. He then posts it on his social media sites (he owns a digital marketing agency) and thousands of people will see you (your business or brand). It's a win-win for both sides. Thanks for reading this. 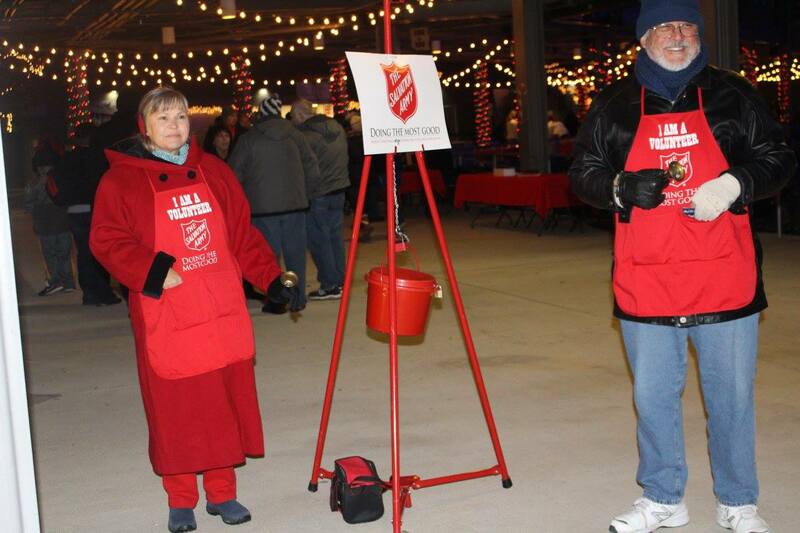 Share it if you'd like, but more importantly, drop some coins in the Red Kettle when you're out doing your shopping this year. Pull a name off the Angel Tree if you're able to. One small action will make the world of difference to a family, child or senior citizen in need. Merry Christmas.